Finally a huge collaboration just for the ladies! 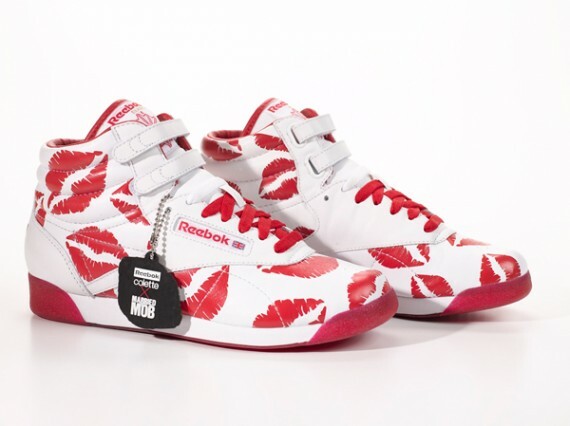 Reebok has gotten together with the infamous French boutique ‘Colette’, and the American Women’s Street Wear icon ‘Married To The Mob’ to produce a one of a kind sneaker. 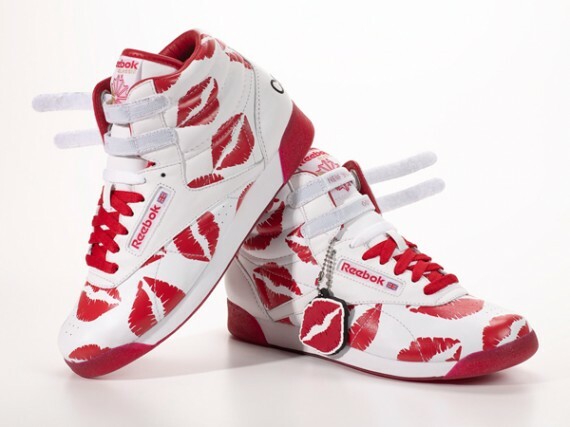 The chosen silhouette is the classic Reebok Freestyle. 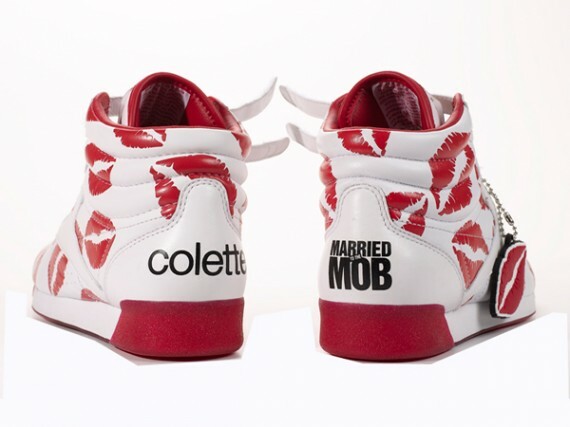 The upper features white patent leather adorned with a collage of MOBs lipstick logo which can also be found on under the translucent red soles. The logos of all parties can be found on the heels in black. The shoes also come in a special commemorative bag for carry or storage. 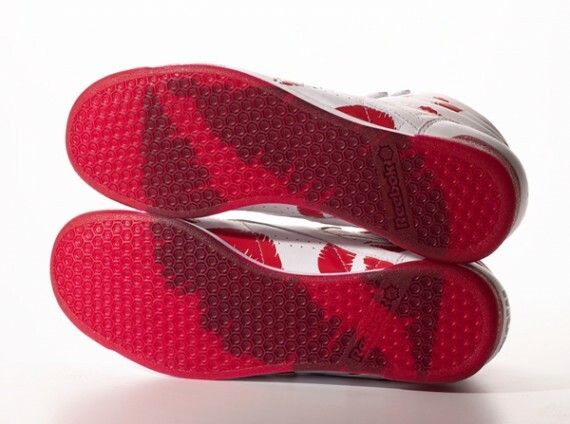 But act fast ladies, only 350 pairs are produced worldwide with each shoe being individually numbered. Available now at We Sold Out.